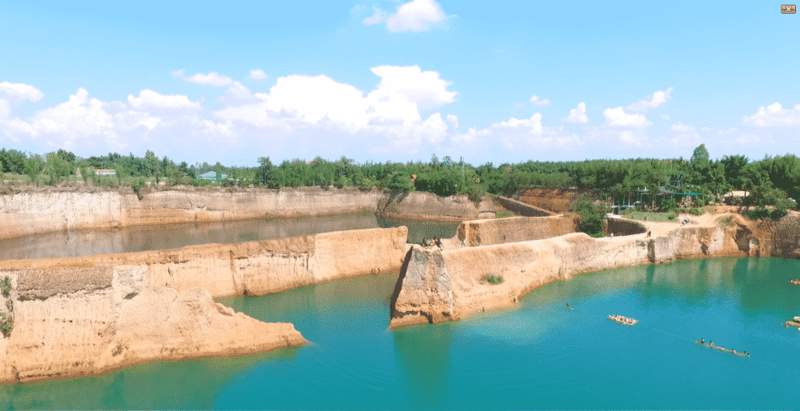 The Grand Canyon Chiang Mai is a large quarry that has been filled with water and is a popular spot for swimming and cliff jumping. The Grand Canyon is now also home to a nearby inflatable Aqua Water Park where you can run, jump, bounce climb and flip in a safe environment. 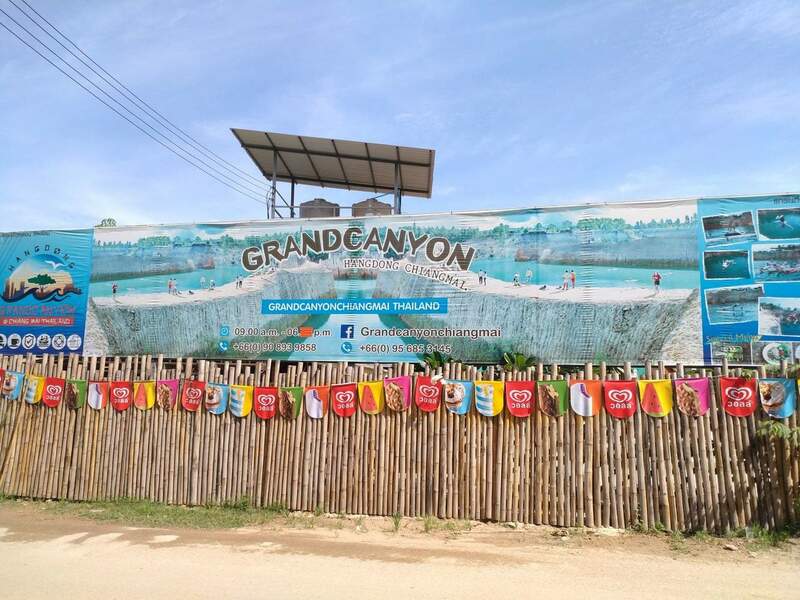 The Chiang Mai Grand Canyon is the place where many locals and tourists go to have fun in the water, as there is a large pool of water for swimming, as well as a 14 metre high cliff where people can jump off into the water. 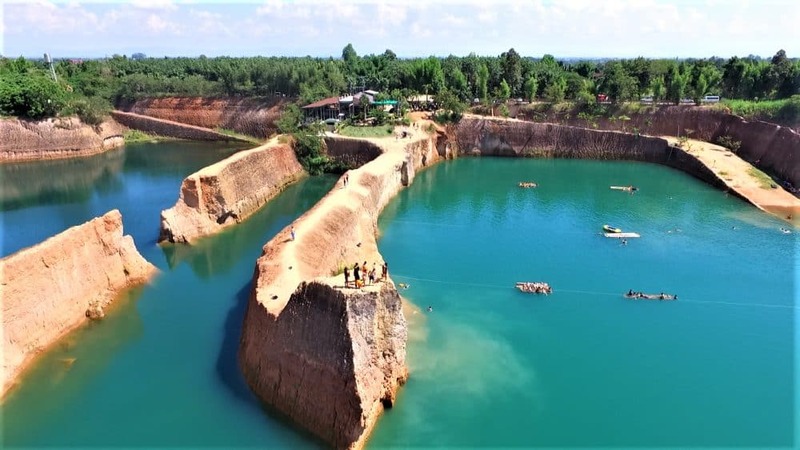 There is a designated spot for the cliff jumping and it is supervised by Thai people. It is a high jump, so assess for yourself whether you wish to jump. 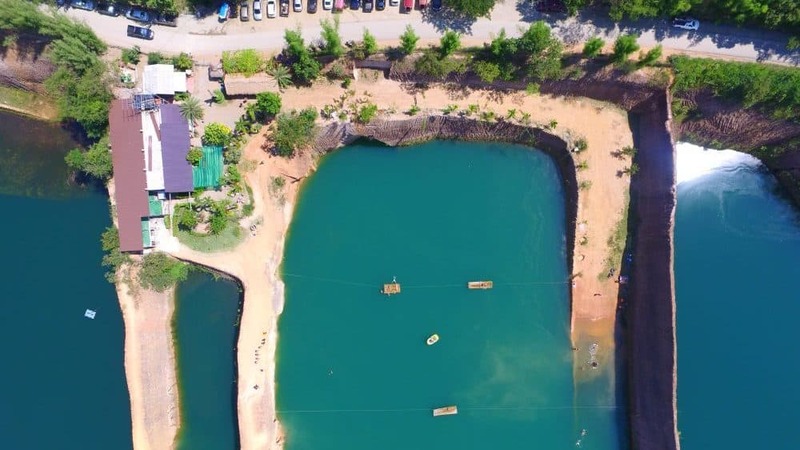 The Aqua Park is located about 300 metres away from the Grand Canyon and consists of large plastic obstacle course filled with air that sits on top of the water. If you fall, you will bounce or better yet, fall into the water! There are also smaller obstacles and water slides for kids who will wear themselves out in no time! The Aqua Park is perfectly safe and all visitors are are required to wear a life jacket at all times, regardless of swimming ability. The area is also patrolled at all times by trained life guards. There are change rooms with showers and lockers where you can store your bags and valuables. 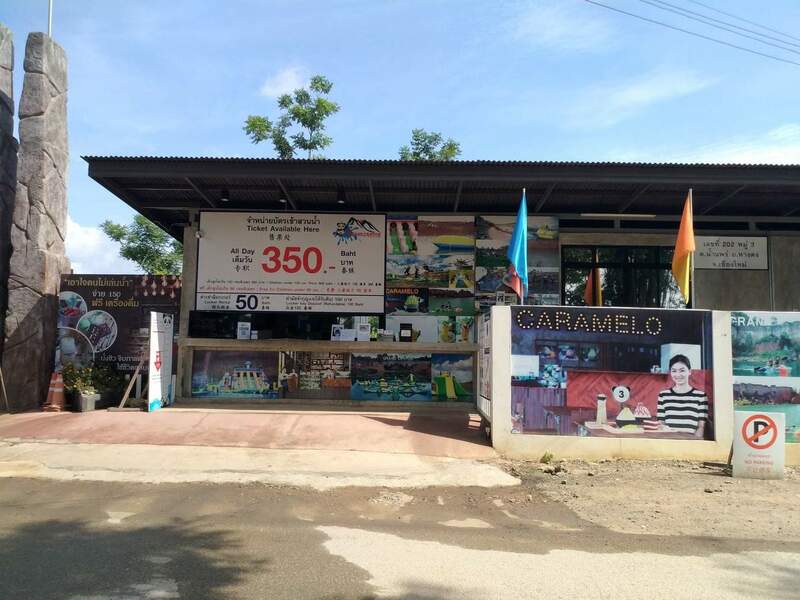 There is also a cafe on site which serve food and drinks. 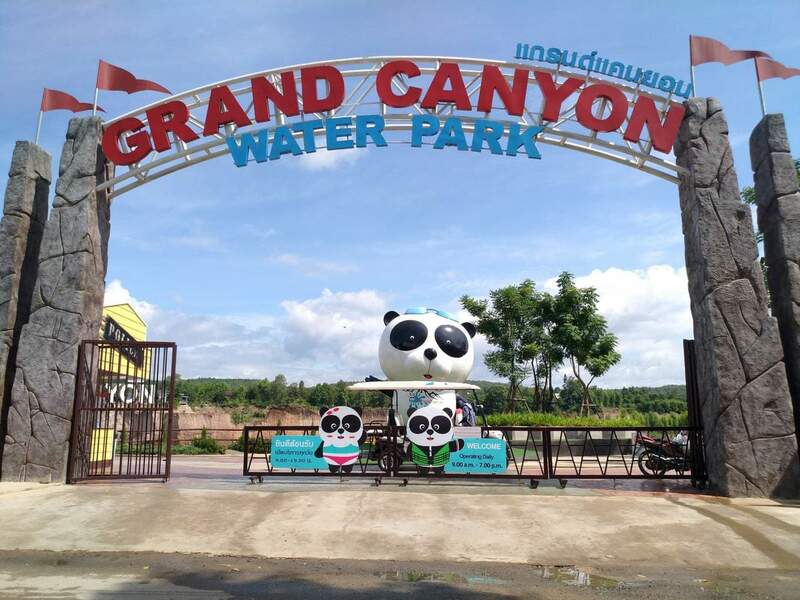 The Grand Canyon and Aqua Water Park are located about 30 minutes south from the old city in Chiang Mai. You can get there by scooter as it is an easy ride, or you can take a red truck (songthaew) for around 500 THB each way (per trip, not per person). It is best to arrange a return trip if taking a songthaew, as sometimes there are no easy rides back. 3-4 hours is enough time to spend at the park as it can be exhausting climbing all those obstacles! 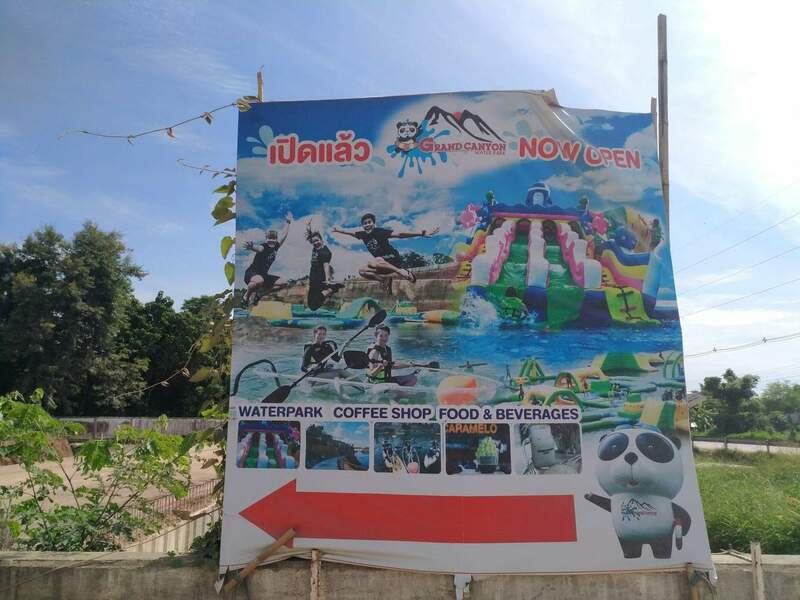 So come to the Grand Canyon Chiang Mai for a great day of fun in the water!